The only thing better than cheap Trader Joe's booze is free Trader Joe's booze. 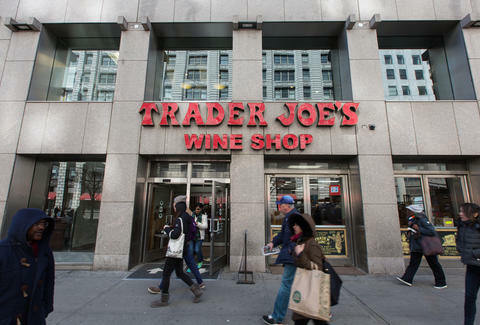 And if you're lucky enough to live in the Bay Area, one more TJ's is about to start offering free beer and wine tastings, according to The Mercury News. Despite the company's policy of giving free samples for basically anything in the store, beer and wine sampling is a little trickier due to local liquor regulations. For example, even in an area as filled with TJ's as the Bay, this Menlo Park location is only the second store in the region that'll be able to give free samples of its beer and wine. It's complicated. According to The Mercury News article, when stores sample out free booze wine sales go up between 10-15%. So it's certainly in the supermarket chain's best interests to fill up a 1oz sample cup with whatever hooch is on the shelves. Hell, Whole Foods has full-on bars at some locations. Maybe it's time to write your local liquor legislature and demand change. It'd be good for Joe, and it'd be great for you. While you wait for your local TJ's to start sampling vino, we recommend picking up some of the leftover holiday food next time you visit. If you ask nicely, the employees will give you a free sample. Lee Breslouer is a senior writer for Thrillist, and could use a TJ's beer right about now. Follow him to high ABVs @LeeBreslouer.